Meredith Bright Colket was born on November 19, 1878, in Philadelphia, Pennsylvania. 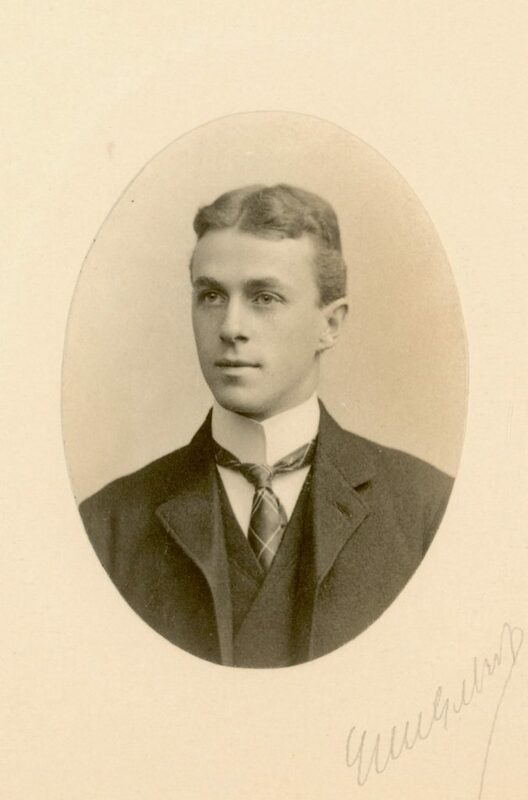 Colket matriculated at the University of Pennsylvania in 1897. While at Penn, Colket was a member of Phi Gamma Delta fraternity. He was also a member of the varsity track team for all four of his undergraduate years. As a member of the 1900 Olympic team, Colket earned a silver medal in the Pole Vault and helped the Penn team further display their abilities as world class athletes. Colket was an exceptional tennis player, known better on campus for his prowess on the court than for his accomplishments on the track and field. As a law student, Colket focused on tennis, helping to improve Penn’s hither-to poor reputation in this sport. In 1903 he and E.B. Dewhurst almost won the intercollegiate doubles championship, losing out to Yale in a hard-fought final round, laying the groundwork for Penn championships in both the singles and doubles the following year. After graduating from the University in 1901 with a B.S. and in 1904 with a law degree, Colket worked for the General Accident Fire & Life Assurance Corporation. He was also a member of the Merion Cricket Club’s tennis team, gaining respect as one of the best players in the city. Meredith died of a heart attack at his home in Bryn Mawr on June 7, 1947, at the age of 68.